The Kingdom of Aragon began its life in 1035 when it was established as an independent Kingdom. Its first King was Ramiro I of Aragon, an illegitimate son of Sancho III of Pamplona. Ramiro’s first wife was Ermesinda of Bigorre, who was thus the first Queen of Aragon. They went on to have five children before her death in 1049. He remarried to a woman named Agnes, who was perhaps the daughter of the Duke of Aquitaine but they had no further children together. Ramiro died at the Battle of Graus in 1063 and was succeeded by his eldest son, now King Sancho V. Sancho had married Isabella of Urgell in 1062, and they had one son together before divorcing in 1070. The following year, he remarried to Felicia of Roucy with whom he had a further three sons. Sancho died in 1094 at the battle of Huesca and was succeeded by his eldest son, now King Peter I of Aragon. In 1086, he married Agnes of Aquitaine, and they had two children together, who both predeceased their father. Agnes died in 1097 and Peter remarried to a woman named Bertha, but they had no children together. Peter died in 1104 and was succeeded by his half-brother, now King Alfonso I.
Alfonso had distinguished himself in battle and married Queen Urraca of León and Castile in 1109, but the marriage was annulled in 1112. Upon his death in 1134, he was succeeded by his last surviving brother, now King Ramiro II. Ramiro had taken monastic vows, but he suspended them to marry Agnes of Aquitaine and father an heir. He was thus known as The Monk. Their only child Petronilla was born in 1136. He arranged for her marriage to Raymond Berengar IV, Count of Barcelona, who was 24 years older than her and abdicated in her favour. Petronilla became the first Queen regnant of Aragon at the age of just one. The marriage was ratified when Petronilla was 14 and consummated the following year. Their marriage produced five children. Petronilla was widowed in 1162, and she abdicated the throne in favour of her seven-year-old son two years later. Her son now became King Alfonso II, and he was the first Aragonese ruler of the House of Barcelona. King Alfonso II married Sancha of Castile in 1174, and they had eight children together, though not all lived to adulthood. Upon his death in 1196, he was succeeded by his eldest son, now King Peter II. He was the first King of Aragon to be crowned by the Pope. In 1204, he became the third husband of Marie of Montpellier, and they had one son together before he repudiated her. Upon his death in 1213, he was succeeded by their son, now King James I, who became known as the Conqueror due to the many expansions of the Kingdom under his reign. James married Eleanor of Castile, and they had one son together before he had their marriage annulled. Their son would marry Constance of Béarn but he predeceased his father without having issue. In 1235, he remarried to Violant of Hungary and they had ten children together, though not all survived to adulthood. After Violant’s death on an unknown date, he remarried to his mistress Teresa Gil de Vidaure. He left her when she developed leprosy. James died in 1276 and was succeeded by his eldest surviving son, now King Peter III. He had married Constance of Sicily, the heiress of Sicily, in 1262. They had six children together. Upon his death in 1285, he was succeeded by his eldest son, now King Alfonso III. His second son became King of Sicily. King Alfonso III was betrothed to Eleanor of England, but he died in 1291 before the marriage could take place. His brother James was now King of both Aragon and Sicily. He agreed to give up Sicily to his younger brother in 1295. He was also King of Sardinia and Corsica after claiming the territories in 1297. 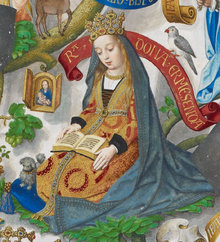 James II was married four times but as his first marriage to Isabella of Castile had been annulled, it was his second wife Blanche of Anjou who was the first Queen of Sardinia. They had eleven children together, and she probably died from complications from the birth of her 11th child. James remarried in 1314 to Marie of Lusignan, who was also the heiress of Cyprus. She died five years later without having had children. He remarried in 1322 to Elisenda of Montcada, but they too had no children. Upon his death in 1317, he was succeeded by his son, now King Alfonso IV, in all his territories. Alfonso had married heiress Teresa d’Entença in 1314. They had seven children together, though not all lived to adulthood. She died in childbirth just days before Alfonso succeeded as King. In 1329, he remarried to Eleanor of Castile and had two further children by her. Alfonso died at the age of 36 and was succeeded by his eldest surviving son, now Peter IV. In 1338, Peter married Maria of Navarre and had two surviving children by her. She died in childbirth and Peter remarried 1347 to Eleanor of Portugal (1328 -1348), but she died just one year later of the plague. In 1349, he remarried to Eleanor of Sicily and had three surviving children by her. Upon her death in 1375, he remarried for a fourth time to Sibila of Fortia in 1377. They had one surviving daughter. Upon his own death in 1387, he was succeeded by his son from his second marriage, now King John I.
John had married Martha of Armagnac on 24 June 1373, and they had five children together, though only one daughter would live to adulthood. Martha died in childbirth in 1378. On 2 February 1380, he remarried to Yolande of Bar. They had six children together, though only one daughter would live to adulthood. Upon John’s death without sons, the throne passed to his younger brother, now King Martin I. His daughters did try to claim the throne, but neither was successful. Martin had married Maria de Luna on 13 June 1373, and they had one surviving son. In 1409, he remarried to Margaret of Prades, but they had no children together. His only surviving son died in 1409, and upon Martin’s death, the rule of the House of Barcelona came to an end. In 1412, his nephew was chosen as King Ferdinand I.
Ferdinand had married Eleanor of Alburquerque in 1393, and they would have seven children together. Ferdinand’s reign lasted just four years, and upon his death in 1416, he was succeeded by his eldest son, now King Alfonso V.
Alfonso had married Maria of Castile in 1415, but they had no children together. He did have three children with a mistress. In 1421, the childless Queen Joanna II of Naples adopted and named him as heir to the Kingdom of Naples. She subsequently named someone else as her heir, but he eventually succeeded as King of Naples in 1442. He managed to obtain papal consent to leave the Kingdom of Naples to his illegitimate son, who became King Ferdinand I of Naples. The other kingdoms, including Aragon, went to his younger brother, now King John II, in 1458. 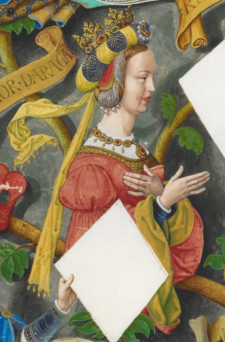 John had married the future Queen Blanche I of Navarre on 6 November 1419, and he had three surviving children by her. Blanche died in 1441 and John remarried to Juana Enríquez in 1458, and they had two children together. He kept control of the Kingdom of Navarre for his lifetime to the agitation of his and Blanche’s eldest son and heir Charles. Navarre eventually passed to their eldest daughter and then to their youngest daughter after Charles’s death. John was succeeded in his own territories by his eldest son from his second marriage, now King Ferdinand II. Ferdinand had married the future Queen Isabella I of Castile and they would have one son, who died in his teens, and four daughters. After their son’s death, it was unclear who would succeed Ferdinand as female succession was not quite as accepted as it was in Castile. Their eldest daughter died giving birth to a son who could possibly succeed, but he died young. Their second daughter married Archduke Philip of Austria and had six children together. She succeeded her mother in Castile upon Isabella’s death in 1504. Ferdinand was determined to keep their kingdoms separate and remarried to Germaine of Foix hoping to father a son. They had a son, but he died shortly after birth. When Ferdinand died in 1516, Philip was long dead, and he named Joanna and her son Charles as his co-heirs. By then Joanna was confined due to her supposed insanity. 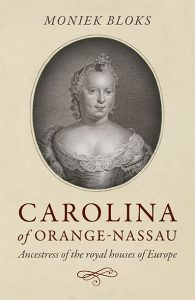 Charles not only inherited his mother’s territories but also his father’s. In addition, he was elected Holy Roman Emperor in 1519. Aragon and Castile were now united in what would become known as Spain, though Aragon retained autonomous parliamentary and administrative institutions. He married Isabella of Portugal in 1526, and they had three surviving children together. Isabella died in 1539 after giving birth to a stillborn son. Charles never remarried. Charles abdicated in 1556 and was succeeded by his son, now King Philip II. Philip married four times. His first marriage was to his first cousin, Maria Manuela of Portugal, and they had one son together. Maria Manuela died shortly after childbirth. In 1554, he married his first cousin once removed, Queen Mary I of England but she died in 1558 without having had children. In 1559, he married Elisabeth of Valois, and they had two surviving daughters together. She miscarried in 1568 and died shortly after. In 1570, he married his niece Anna of Austria, and they had one surviving son. Upon Philip’s death in 1598, he was succeeded by his son, now King Philip III. Philip married his first cousin once removed Margaret of Austria in 1499. They had eight children together, though not all would live to adulthood. Margaret died shortly after the birth of her eighth child, a boy who died before his first birthday. Upon Philip’s death in 1621, he was succeeded by his eldest son, now King Philip IV. Philip married Elisabeth of France in 1615, and they had eight children together. Of their eight children, six died young, and his only son died at the age of 16. Elisabeth died in 1644 and Philip remarried to his niece Mariana of Austria. They went on to have five children, of which two surviving to adulthood. Upon his death in 1665, he was succeeded by his only son, now King Charles II. Charles was mentally and physically disabled due to the many generations of inbreeding. Despite marrying twice, to Marie Louise d’Orléans and Maria Anna of Neuburg, he fathered no children, leading to a succession crisis. He was succeeded by King Philip V, who was the younger grandson of Maria Theresa of Spain, the only surviving child of Philip IV and Elisabeth of France. Aragon’s autonomy ended with the Nueva Planta decrees between 1707 and 1715. The heir to the Spanish throne still carries the traditional title accorded to the heir apparent or heir presumptive to the Crown of Aragon. 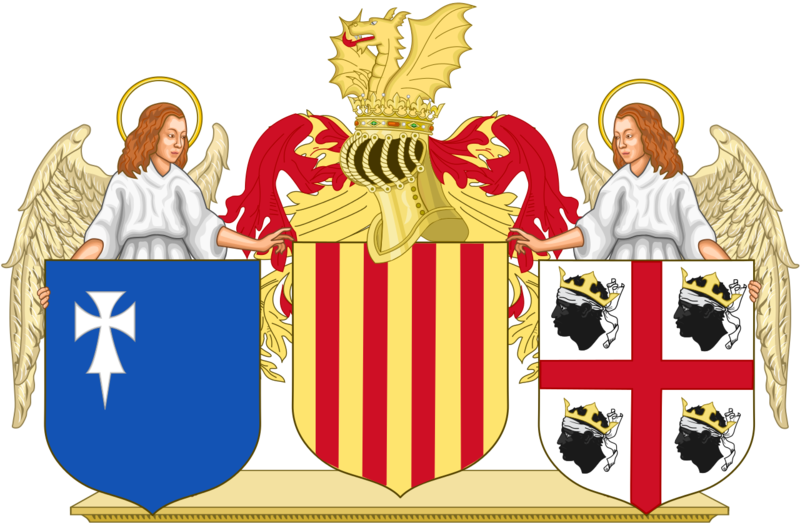 Leonor, Princess of Asturias, daughter of King Felipe VI of Spain, is also Princess of Girona.